Legos: More Than Tiny Pieces of a Broken Life? You mean they are not just maddening, sharp pieces of plastic that cause fights and hurt your feet in the night? For years my boys have been into Legos (as I’m sure your children and grandchildren have, too): First it was Ninjago, then Star Wars, then Ninjago again, the Chima (briefly because we felt too much violent behavior coming from them as a result of that particular engagement) and now Star Wars again. Every Christmas brings great demands from Santa for more and more elaborate and expensive “sets.” The sets arrive – Santa can only bring ONE big one and a few smaller ones; He told us himself. But since Legos are all the boys want, grandparents get to give some and before you know it, we’ve got a stack of boxes. And unlike the old days, where Legos were a creative tool for the imagination, these sets have replaced toys for my children’s generation. This situation is problematic because once the “toy” is built, it’s not really tough enough to be played with. It falls apart. The specifically engineered pieces color coded and shaped to build that particular Star Wars ship scatter. The model will never emerge again from the rubble. I work all morning attempting to have QT with the kids, building one of these big sets and before you know it, pieces are missing and vacuumed up, the beautiful finished product gone forever. And yet, the children would still rather have them than not, more than anything else! 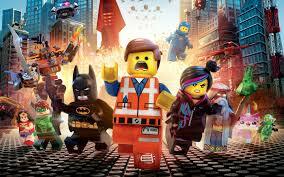 Last weekend I took the boys to see the Lego Movie. I had heard it was great and they are lucky if we get to theater once a year. So we went. And it was great. At first I thought I might have a stroke from the fast action and dialogue pinging from one character to the next, colors swirling and spinning enough to make me dizzy. But I got used to it and the message of the film began to emerge: Everything belongs, everyone matters. Each person’s light and creativity shining in the world is not only important, but is far more important than a beautiful finished model, no matter how much hard work went in to creating it. And even if all those pieces were designed to produce a specific model, they, too can be used creatively to produce a one-of-a-kind original piece, even if the price for that creativity is in the $100 + range – yikes! We have seen our boys make peace with this. They are disappointed when the model breaks, yet they can play with the pieces for hours. We have had to let go of our protection of the set and encourage their creativity. Your coach wants you to be your best self, but not at the cost of your creativity. Your best self is the person you were created to be. When we quash our dreams in place of perfection, success or duty, the world loses out on a light that was meant to shine, progress is hindered, and we all live in a little more darkness. Always be on the quest for who you really are and what you are meant to be doing. In the Lego movie, not surprisingly, it takes the wisdom of a child and the power of his creativity to conquer the bitter perfectionism of the enemy, Lord Businessman, otherwise known as Dad. The innocent wisdom of the child within you can show you why you shouldn’t be superglueing Legos together in an attempt to preserve yourself in a state of permanent perfectionism, but fighting to be yourself in a culture that tries to engineer you as part of a set.